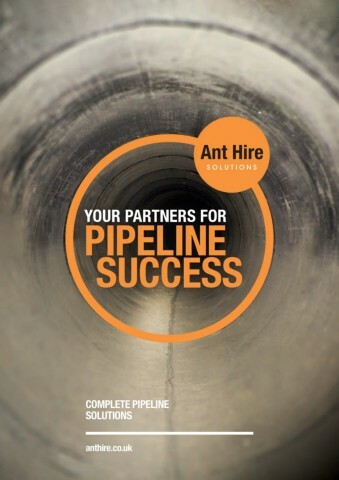 Ant Hire Solutions provides a nationwide service for all of our equipment. Contact us for more information. LAMPE's Sewer Sealing Cushion is a self-fixing sewer cushion for pipes, drains, sewers and culverts. IMS are specialists in the design, engineering and manufacture of Lateral Cutting Robots for sewer rehabilitation. A complete range of drain and sewer stoppers and packers. A demonstration on how to blank off the end of a pipe to allow a test to be performed. A demonstration of how to draw off water to measure the pressure loss in a pipe. A demonstration on how to pressurise a pipeline using the specially designed Ant Hire Solutions equipment. Vertform is an alternative solution to traditional construction methods for creating manhole bases and inverts. The Troglotech T804 pushrod pipe and sewer cameras are ideal if you are looking for a lightweight option which delivers great results. The Troglotech T812 Pan and Tilt Camera offers unique 'human perspective viewing'. This is Troglotech's smallest camera, measuring just under 25mm (1 inch). It can be used directly on the T804 Trogloprobe termination to survey straight pipes of 1-1/4" on the standard 61m of rod. Alternatively, it can be used with 20m of hyper-flexible rod for domestic PVC pipework or in swimming pool pipework. The T806 Remote Viewing System is an option for the T804 high-definition Trogloprobe pushrod system. It comprises a cap fitted with a battery powered video receiver and twin high-resolution screens. The T804 system is fitted with the optional battery powered wireless video transmitter. The live video from the pushrod system is transmitted to the video glasses. This short video shows how to assemble Brush Skids, change brushes and fit them to the Troglotech T800 Auto-Uprighting Camera or the T812 Advanced Pan and Tilt Camera. In normal use, the brushes only need to be adjusted when moving from one pipe size to another. The skids can be used without brushes for 3" pipes. Troglotech has designed a new way of measuring defects and other artefacts while surveying pipe work. The new method radically simplifies and expedites surveying where measurements are required. The IBAK PANORAMO® boasts unique scanner technology for highly efficient sewer pipe inspections. The IBAK Polaris pushrod camera was designed to satisfy the demand for a bend flexible camera suitable for bends of 90 degrees with a 100 per cent field view. The PANORAMO® SI provides a complete 360 degree view of the manhole after the inspection, similar to normal PANORAMO® pipe segment files. This systems enables you to conduct inspections in a fraction of the time it would take you with traditional methods. The SeeSnake microDrain™ video inspection system is small and provides manoeuvrability for small diameter and tight-turn radius inspections. A cost effective and easy to use solution for the permanent and watertight repair of damaged pipes without the need for excavation work. Quick and easy to use "no dig" application for bends.